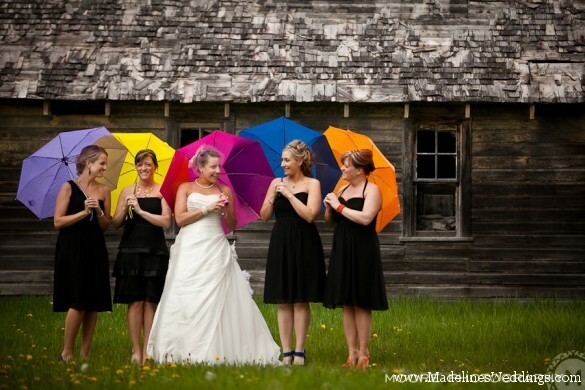 We LOVE this picture of our bride Angelica with her girls with their colourful umbrellas! All the girls carried different coloured bouquets and had matching shoes too! Special thanks to Moore Photography for this awesome shot! To see more from this fabulous wedding, click HERE!